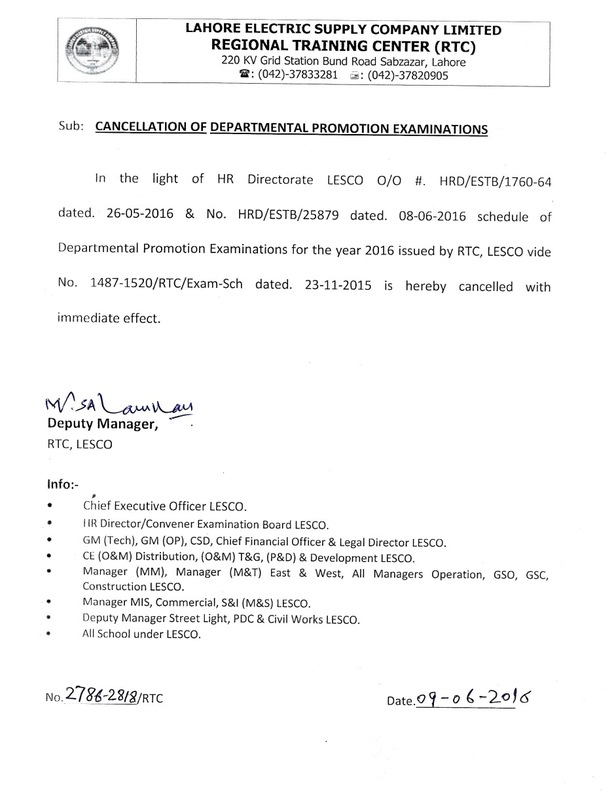 Rescheduling of Departmental Promotion Examination – 2014. Schedule of the Departmental Promotion Examination for the following workforce to be held at RTC on the date mentioned against each classification. Date of Application Form Willing Candidates should submit New Application Form 2013 with latest photograph of applicant duly singed by concerned Deputy Manager or above at least four days prior to the commencement of related examination. CNIC Any candidate without Computerized National Identity Card and LESCO Employee Card will not be allowed to sit in Examination Hall. Application form duly singed by concerned controlling officer at least 4 days prior to the commencement of related examination. N.I.C. Any candidate without National Identity Card and LESCO Employee Card will not be allowed to sit in Examination Hall.